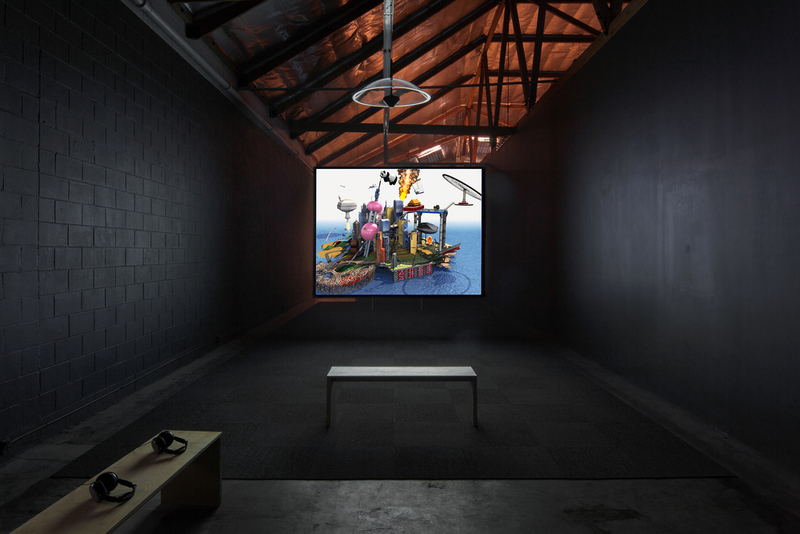 Shadow Plays is the first Los Angeles solo exhibition of influential Beijing-based artist Cao Fei. Cao Fei creates universes in her works—surreal dystopias and fantastic utopias inspired by the rapidly changing social and economic conditions of her immediate environment. Her work is marked by a keen understanding of global popular culture and the deep psychological impact of new technologies; articulating cultural shifts with an abiding sense of playfulness. 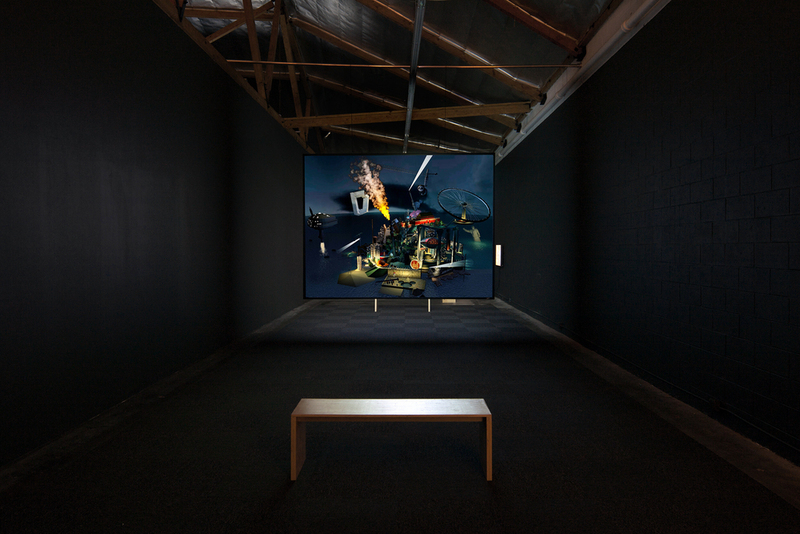 The exhibition brings together two of the artist’s landmark projects. The first, Haze and Fog (2013), is a meditation on alienation among the burgeoning middle class of present-day China. In a vast apartment complex, quiet tension accumulates through glimpses of the strange daily existence of its inhabitants and workers, refracted in the literal haze and emotional fog of what the artist calls the "over-imaginative reality" of 21st Century Beijing. The second project, RMB City (2007-2011), is a virtual metropolis developed by Cao Fei’s avatar, China Tracy, within the game Second Life. RMB City became a site for experimentation and collaboration where the historical, simulated and real mingled. RMB City Planning (2007-2011) showcases its development over the course of five years while People's Limbo in RMB City (2009) presents a series of dream-like scenarios, quotidian activities, and social interactions that unfold in RMB City as the avatars of Karl Marx, Chairman Mao, Lao Tzu, and a Lehman Brothers executive, among others, create a new social space. These works, presented together, speak to the intensities and peculiarities of a growing world power whose influence impacts the lives of many living within and beyond its confines. Cao Fei: Shadow Plays is organized by The Mistake Room and curated by Kris Kuramitsu, TMR Deputy Director and Senior Curator. Cao Fei (b. 1978) is a Chinese multimedia artist, born in Guangzhou and living and working in Beijing. She received a BFA from Guangzhou Academy of Fine Arts in 2001. She has exhibited widely since the early 2000s, including exhibitions at the Serpentine Gallery, London; The PinchukArtCentre, Kiev; Tate Liverpool; and Deutsche Guggenheim, Berlin, among many others. Her work has been included in biennials in Sydney, Moscow, Istanbul, Sao Paulo, Shanghai, Lyon, Yokohama, Berlin, Gwangju, and Venice. 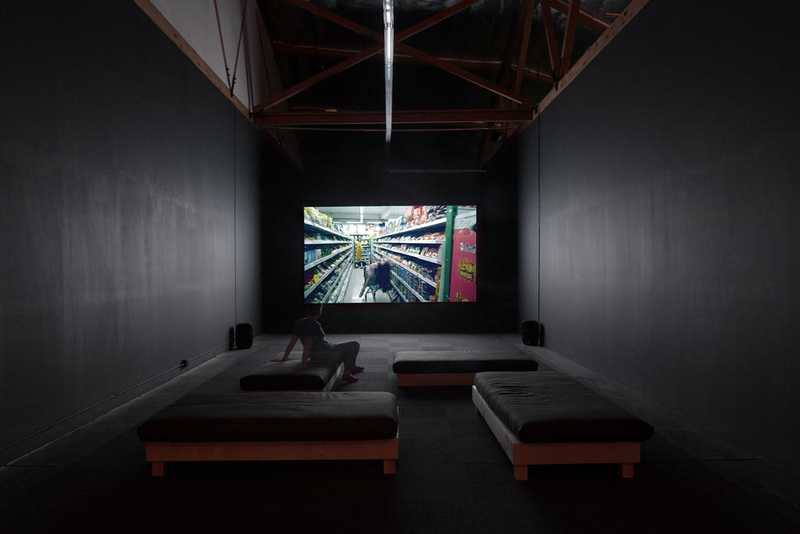 Her videos have been screened at institutions around the world, including the Tate, London: MoMA, New York; Palais de Tokyo, Paris; and the Mori Art Museum, Tokyo. Currently, her work can be seen in a major solo exhibition at Secession in Vienna and in All The World’s Futures at the 56th Venice Biennale. Special thanks to the Fowler Museum at UCLA.